Manchester City, Liverpool and Chelsea have set a Premier League record by remaining unbeaten after the first 10 rounds of fixtures. 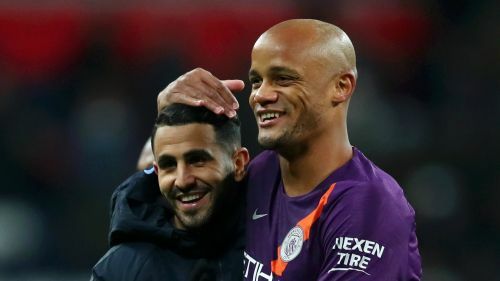 Champions City romped to the Premier League title last term and moved back to the top of the table with a 1-0 Wembley win over Tottenham on Monday. But they look set to face stronger competition if they are to defend their crown, with Liverpool also having won eight of their 10 matches so far. Chelsea, champions in 2016-17 and resurgent under new coach Maurizio Sarri, are only two points further back after Sunday's thumping 4-0 win at Burnley. And although Arsenal's seven-match winning streak came to an end with a 2-2 draw with Crystal Palace at the weekend, Unai Emery has the Gunners in the hunt. Following their home defeat to City, Spurs are in fifth place and behind rivals Arsenal - who host Liverpool in the Premier League on Saturday - by only a single point.